The Executive Summary is where you explain the general idea behind your company; it’s where you give the reader (most likely an investor, or someone else you need on board) a clear indication of why you’ve sent this Business Plan to them. This is a souped-up “elevator pitch,” a couple of pages that summarizes what your business is all about. 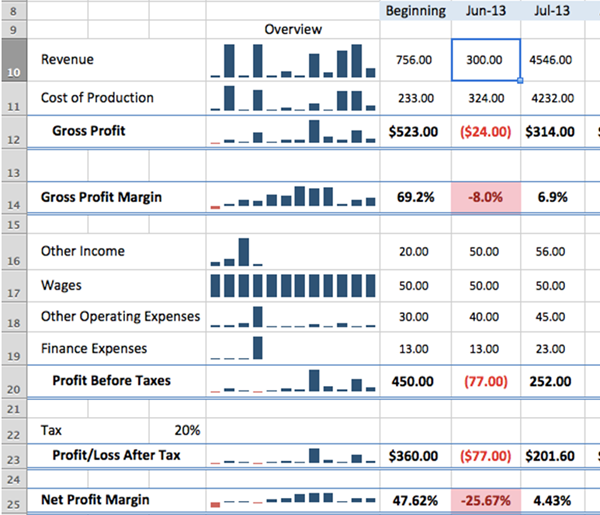 PandaTip: The Executive Summary provides a summary (shocking, eh?) of the Business Plan document. The header section of the Executive Summary can benefit from flexible treatment, as well. You can use a company logo, or any other design you’d like, but you want to be sure you include the name of your business, right at the start of the Business Plan. The last question is perhaps the most important. Already, only having read as far into your business plan as the Executive Summary, your reader is wondering “what’s in it for me?” And your challenge is to offer them a preview (remember this is a “summary”) of the benefits of accepting your business plan, while not giving away the whole story. PandaTip: The Executive Summary is all about gaining interest, so that your recipient will keep reading. This is the place for your “origin story.” This section should be just as well-written as the Executive Summary, of course. What is your interest in the market? How’d you get to this point? As you can tell, the Business Description section amounts to backstory – and that’s essential to any Business Plan. This is where you tell them where you’re coming from, before you get to “why” you’re in need of an investment, in a nutshell. The Mission Statement section of your Business Plan expands on some of what you talked about in the Executive Summary. Here are the major points you will want to make in the Mission Statement. Explain the end-result you seek from the business venture. Connect it to your customers and readers, in turn. Explain the steps you will take to reach your goal. Be specific; demonstrate that you have a good idea of what it will realistically take to achieve your goals. Your target audience has to be well-defined. Here you need to explain exactly who your customer is. You should define your customer as specifically as possible. Is your customer the 18-24 year old customer base? How about the 18 -24 year old music consumers, as an example? Describe them to the finest level of detail possible. Why is your niche attractive? Is your industry growing? Will you shake it up with your offer? Are you a disruptor? Explain thoroughly in this section. Here you want to outline what makes your company special. Answer why your business is different from the rest of the competition. Who’s on your team? The best tip we’ve got is: investors love a top-notch team. Here you want to tell your prospective investors the legal status of your company. Is it a limited liability company (LLC)? Is it a sole proprietorship, or partnership? Whatever the case may be, you’ll want to explain it to your prospect. This section is extremely important to a successful Business Plan. This is where you describe what it is that you have to offer the world. PandaTip: There are actually two main parts of the Products and Services section. Detailed descriptions of your Products and/or Services. Feel free to include pictures, as you deem appropriate. Don’t forget to add the pricing and/or fees. Next, you’ll want to spend some time extolling the features and benefits of your products and/or services. Break it down. Remember that customers love benefits, and prospective investors want to know that you understand those benefits. The Products/Services you offer are the core of your business. You really can’t afford to omit anything relevant here. Your prospective investor will surely want to know what you have to offer, and they’ll want to know enough about those things to be able to believe in them. PandaTip: Check and recheck this section – it’s a biggie! The Marketing Plan is one of the most essential parts of your Business Plan; marketing is the thing that brings your business to its audience. The first thing to do in the Marketing Plan section is to prove that you know your target audience. Put the research, market analyses, and industry knowledge that you possess to work in this section. You are illustrating to your recipient that you know your audience better than anyone, and that makes yours the ideal business to serve the audience. Detail your niche. What particular area of your industry to you fit? Where do you squeeze in, in light of the innovation? Describe how you will promote the business. What media outlets will you use for advertisement? How much is your marketing budget? Your prospective investor will surely want to know. State your image or message. How will you present your business to the public? Tell your reader how your customers will see your business. The Marketing Plan is essential. Make sure you give it plenty of attention, in your Business Plan. PandaTip: Potential investors will surely be paying close attention to this section. This section of your Business Plan should detail your day-to-day operation. This is important; your prospective investors want to know that you’ve given some thought to the daily operation of your business. Here, you’ll want to describe the various resources, personnel, and real estate involved in the execution of your business activities. PandaTip: The Operations Plan section should leave your readers with the feeling that you’ve thought of everything. In this section, detail the management structure inside your organization. Your prospective investors will be keen to know who’s calling the shots and to whom at your business. Remember, you don’t have to list everyone, down to the janitors, but you do want to be thorough in this section. Let your prospect know that you’re not just winging it, and that you have a team in place. The Financial Plan is one of the most important, if not the absolute most important, parts of your Business Plan. This is a section that your reader will be eyeing closely, and they will expect you to have put a lot of love into this one, too. Begin this section by telling the prospective investor about the funding you’ve received so far. Where has it come from? How much does it total? Be forthcoming about your capital and its sources, first and foremost. 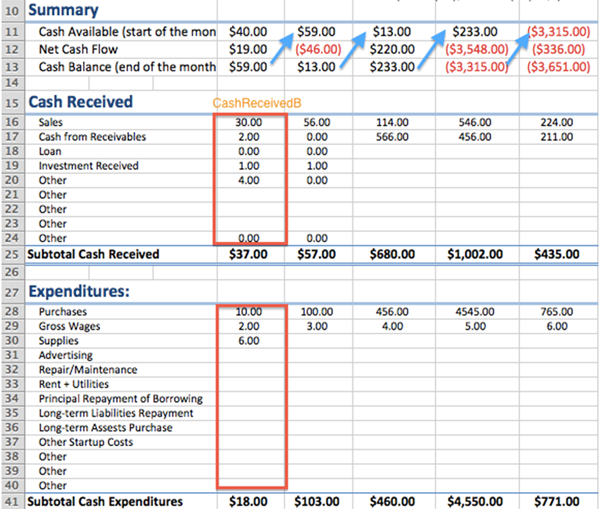 PandaTip: Be sure to include a cash flow spreadsheet, illustrating what you have versus what monies you expect to spend. 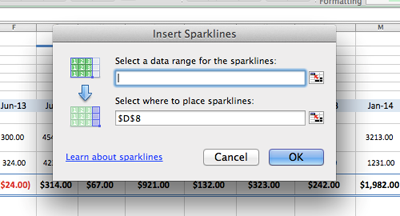 This Excel spreadsheet allows you to enter values for all incoming and outgoing cash and expenditures. 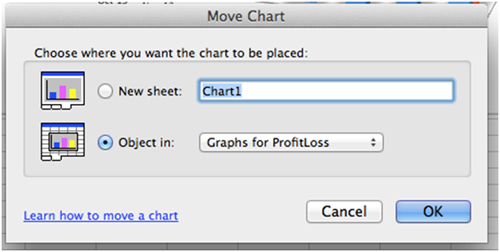 Include formulas inside cells for money movement. This section is also the place where you plan your Profit and Loss (P&L) for at least the next 12 months. 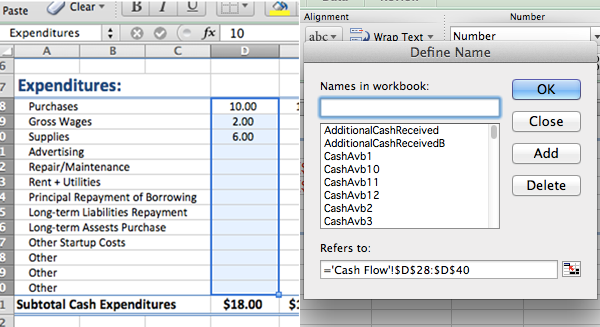 This spreadsheet can be used in connection to the cash flow spreadsheet. If your business plans to run a loss for the first year (or two, or three), you should clarify this point in this section, and add a model profitable year for good measure. Just be sure to explain that your Business Plan doesn’t always project a loss. PandaTip: You’ll also want to include a Break-Even Analysis, identifies both the amount of income you’ll need in order to cover all of your expenses and to break even. Also state the number of months it will take for you to break even. If you sell more than one product or service, sales mix is an additional factor that could be calculated in the spreadsheet under “Actual Sales.” Those numbers can then be transferred to the “Break-Even Analysis” table. • Profit loss after tax = Profit before tax * (1 – Tax Rate) *However if loss was incurred, tax won’t be applied. To accommodate for that write the IF statement: if Profit Before Taxes > 0, then apply the formula above to that number, otherwise the negative number will be transferred to this cell. The last part of your Business Plan is a conclusion, which ideally should contain a call to action (CTA). Your CTA here is a bit different from a CTA on something like a Web-based landing page. A Business Plan CTA simply clarifies the next step. Is it a phone call or a meeting? Perhaps it’s a phone call to schedule a meeting. Whatever your CTA may be, you’ll want to make it clear, in this section. PandaTip: Need a reminder of what a CTA is? A call to action is a singular step you’d like your Business Plan reader to take upon finishing the document. Ultimately, you want the reader to invest your business in some regard, so the CTA will always facilitate that action – even it only seems to do so indirectly. No article of sales writing is complete without a CTA, so make sure your Business Plan has one. Your Business Plan is top secret, right? If that’s the case, it’s up to you to make sure that’s clearly stated to those who receive the Business Plan. One way to protect your business and its intellectual property (IP), is to include a confidentiality, or nondisclosure (NDA) statement in your Business Plan. PandaTip: Using PandaDoc, you can even capture a signature or initials acknowledging the NDA in your Business Plan, if so inclined. In either case, you should, as a minimum let your recipient know that the information contained within your Business Plan is your property. The last thing that should be added to your Business Plan is any additional information that is worth including, but perhaps not essential to the plan itself. PandaTip: In this section, consider adding infographics, photos, or complex data-sets that might clutter the other sections in your Business Plan. Of course, you’ll want to note these addendums throughout the body of the Business Plan document, accordingly.